"I prefer to make my dogs their own treats so I know exactly what is in them. 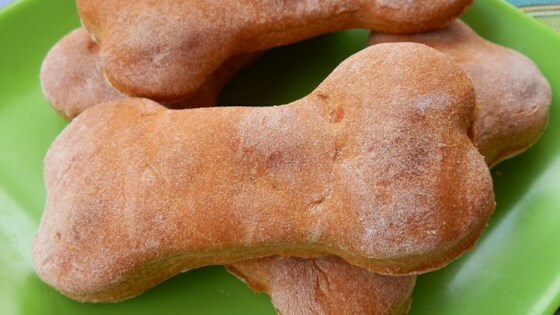 My dogs go crazy for these simple sweet potato treats." 5 stars for easy, 5 stars from the pups, they love these! I doubled the recipe because my cutters are pretty large, I was able to get 28 pieces.